commits institutional criminal mischief, a Class A misdemeanor. 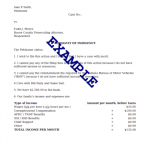 However, the offense is a Level 6 felony if the pecuniary loss (or property damage, in the case of an agricultural operation) is at least seven hundred fifty dollars ($750) but less than fifty thousand dollars ($50,000), and a Level 5 felony if the pecuniary loss (or property damage, in the case of an agricultural operation) is at least fifty thousand dollars ($50,000). commits controlled substances criminal mischief, a Level 6 felony. However, the offense is a Level 5 felony if the offense results in moderate bodily injury to any person other than a defendant. (d) If a person is convicted of an offense under this section that involves the use of graffiti, the court may, in addition to any other penalty, order that the person’s operator’s license be suspended or invalidated by the bureau of motor vehicles for not more than one (1) year. (e) The court may rescind an order for suspension or invalidation under subsection (d) and allow the person to receive a license or permit before the period of suspension or invalidation ends if the court determines that the person has removed or painted over the graffiti or has made other suitable restitution. (C) both cleaned and decontaminated. The term includes inspection, cleaning, or decontamination conducted by a person certified under IC 13-14-1-15. As added by Acts 1976, P.L.148, SEC.3. Amended by Acts 1977, P.L.340, SEC.41; P.L.326-1983, SEC.1; P.L.319-1985, SEC.1; P.L.151-1989, SEC.11; P.L.180-1991, SEC.6; P.L.94-1996, SEC.5; P.L.213-1997, SEC.1; P.L.100-1999, SEC.2; P.L.108-2002, SEC.1; P.L.116-2002, SEC.24; P.L.123-2002, SEC.37; P.L.1-2003, SEC.95; P.L.140-2006, SEC.33 and P.L.173-2006, SEC.33; P.L.216-2007, SEC.48; P.L.158-2013, SEC.453; P.L.21-2014, SEC.2; P.L.76-2016, SEC.4; P.L.252-2017, SEC.12.